Came across this recently. There's something I love about these grand old Vic hotels. 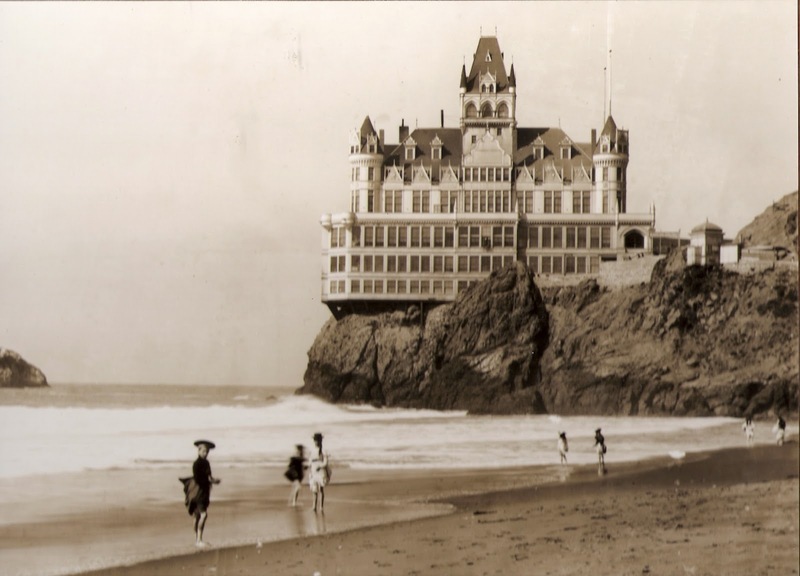 Something about their style that was both grand and magnificent, but also a bit quickly (this hotel had an on premise animal menagerie, where a child was mauled by a panther in 1884, and daring high wire walks were performed over craggy rocks at San Francisco's Cliff House). 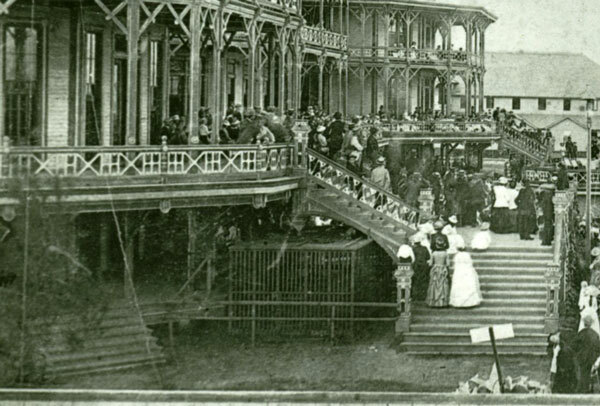 They heavy wood content used for both hotels led to their destructions by fire. For more on the Cliff House see pictures below and my earlier post here. The Beach Hotel was a seasonal resort in Galveston, Texas. 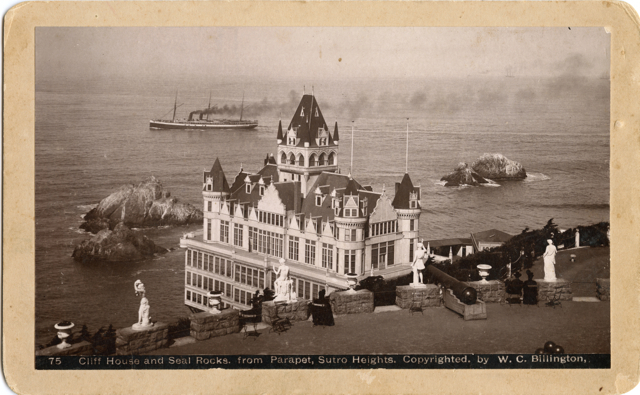 It was built in 1882 by architect Nicholas J. Clayton, at a price of US$260,000 (US$6.19 million in today's terms) to cater to vacationers. 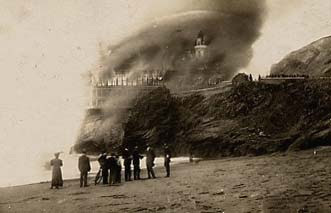 Owned by William H. Sinclair, the hotel opened on July 4, 1883 and was destroyed by a mysterious fire in 1898. 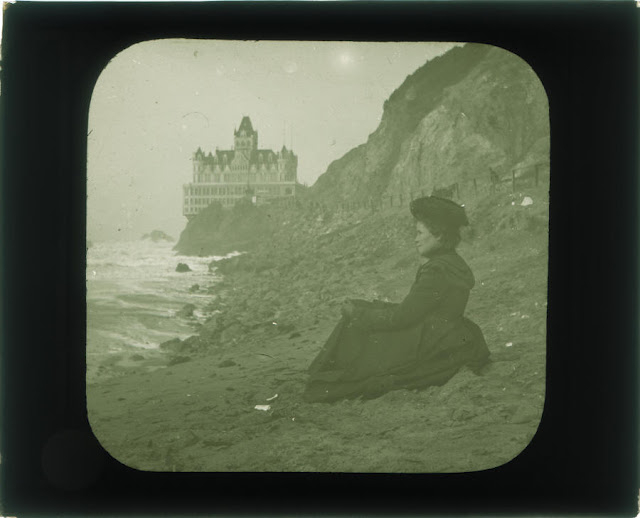 The front lawn of the beach hotel "provided a site for summer entertainment-fireworks, high-wire walkers, and bands. 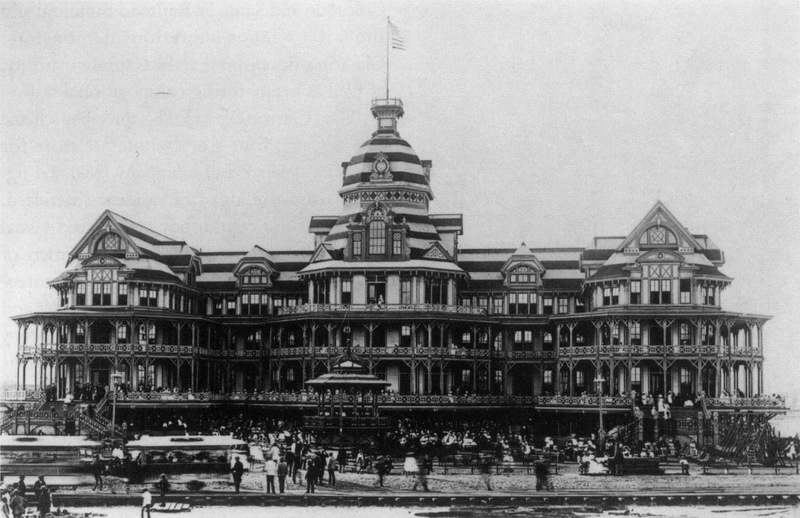 The 4 1⁄2-story hotel was built atop 300 cedar piles driven into the sand. 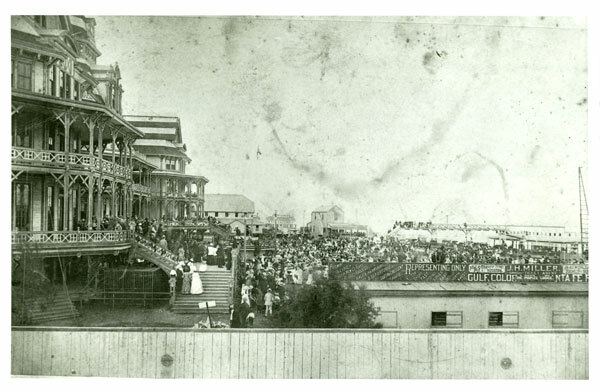 [ The roof had an octagonal dome, which housed the water tanks, and was painted in large red and white stripes, and the eaves were trimmed in a golden green. 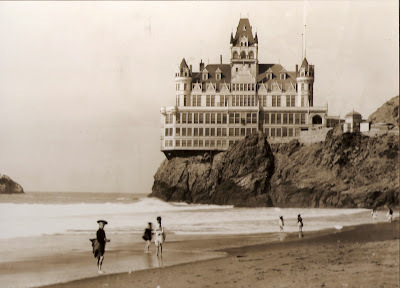 The 1986 Cliff House, which burned down in in 1907. The Cliffhouseproject is a great site for info about this San Fran landmark.